Learn more about Lake Community Church! Are you ready for the next steps at Lake Community Church? 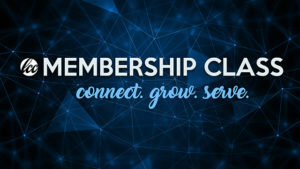 Our membership class is a great next step to discover more about who we are, what we believe, and how you can find your place here. Our next class is held on Tuesday, April 30th from 5:30 – 7:30 pm. Please register so we can plan for food and childcare if needed. Member - bringing a friend, coworker, etc.